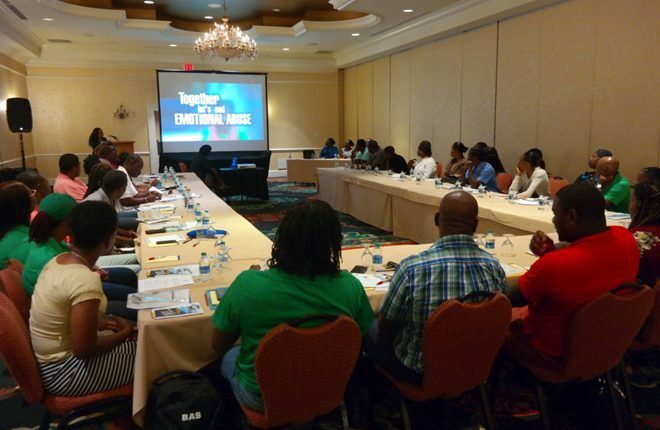 (SKNIS): The Organisation of Eastern Caribbean States (OECS) Communication Strategy on Child Abuse in Sports was launched at a one-day training workshop in St. Kitts on Monday (January 29), as officials seek to break the silence on a topic that isn’t widely discussed in the Caribbean region. Two television and two radio public service announcements (PSAs) were unveiled as part of the communication strategy, which featured key messages about child safety and protection. The portrayals covered player to player, and player to coach scenarios, while the topics covered physical, emotional, verbal and sexual abuse. A brochure was also launched and distributed to coaches from St. Kitts and Nevis, who gathered for the opening of the strategy and a training workshop on Child Abuse in Sports. The workshop immediately followed the launch. Yoshabel Durand, Programme Officer in the Human and Social Cluster of the OECS Commission, said that the architects of the communication strategy hope to generate greater awareness to the importance of the well-being of the persons who play sports. 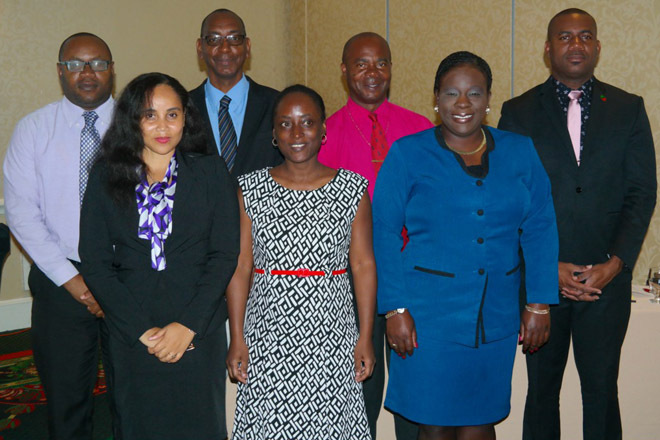 Dr. Grace-Ann Cornwall, Head of the Social Development Unit, OECS Commission, congratulated the Ministry of Sports for its willingness to embrace the issue of child protection. She also encouraged other stakeholders to play their part. Parents were also encouraged to be alert to signs in their children that may suggest they are being abused. Dr Cornwall said the parents must make the enquiries and follow up. Deputy Prime Minister and Minister responsible for Youth and Sports, Honourable Shawn Richards, said it was fate that seemingly brought about the training at this particular time given the recent case with former USA Gymnastics and Michigan State University Dr. Larry Nassar. Nassar, 54, was sentenced to 175 years in prison for sexual abuse incidences over the past two decades. Minister Richards also mentioned that last week, the Department of Youth Empowerment had planning sessions on implementing strategic initiatives for child protection as outlined in the Federal Youth Policy, while the Ministry of Sports engaged UNESCO on providing assistance in drafting a sports policy, which would have provisions for child safety. The workshop was organized by the Organisation of Eastern Caribbean States (OECS) Commission and the United Nations Children’s Fund (UNICEF).